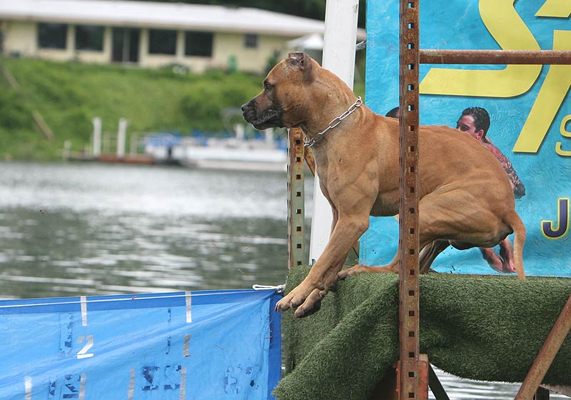 Boldog Old Yeller, SchH I, IPO I takes his first leap off a dock. He scored 9'. Not "extreme" but not bad for a newbie! 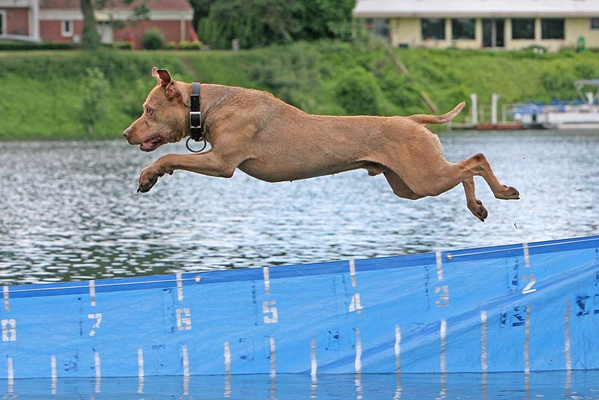 "Dock Dogs" is a new sport involving dogs diving off a dock. 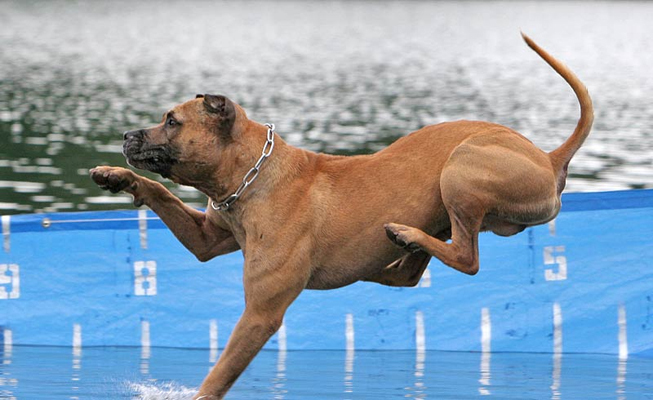 Pit bulls should do well, though be warned that the level of responsible dog handling I saw at my first experience was horrible. Loose dogs everywhere, out of control dogs swimming out to meet incoming dogs and trying to take their balls, and aggressive Labradors lunging at dogs... A chocolate Labrador almost drowned one little pit bull who was trying to bring in his bumper. While the folks there were nice, they seemed to think it was "cute" when their dogs "accidentally" got loose and ran amuck. It wasn't cute, it was annoying. 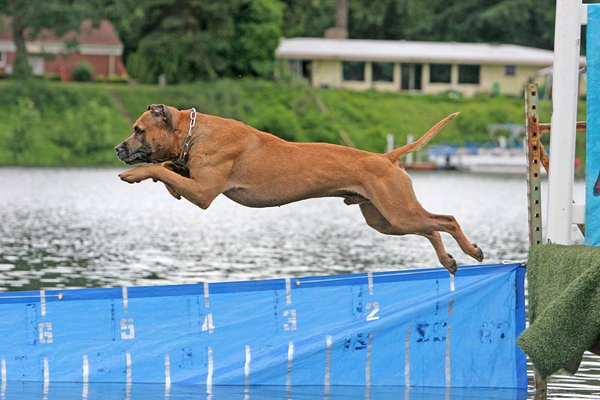 Don't take your dog unless it is dog-friendly or under extremely good control - because the other dogs won't be! "Oh, SH@#*T!" says Boldog Dirk, SchH II, FR Brevet, as he finds out the dock ends! This was his first time on a dock. Nothing to do now - he's committed! All you can do is try and land with dignity! "OK! Now I see how this game is played!"